Wendy Jones is a practicing psychotherapist and former English Professor known for her work on the connection of between literature and the mind-brain sciences. She received her Ph.D. in English Literature from Cornell University and subsequently was a Senior Lecturer and Fellow at the Society for the Humanities at Cornell. She has been a Visiting Professor at Williams College, University of Rochester, and Syracuse University. She lives in Ithaca, New York. I would like to say Wendy’s writing style in this book follows a very new trend in the publishing industry. She has superior academic knowledge but chooses to write not only for other academics but to the fans of Jane Austen as well. She takes her knowledge to a broader audience, one that is thirsty with more knowledge of Jane Austen and her characters but cannot understand the stiffness of the academic writing. With a voice that is clearly full of admiration as a fan, she delves into the reason why Jane Austen is a unique writer with the power to cross all kinds of barriers even 200 hundred years after her death reaching the status of pop star and breaking records after records. She shows us Jane’s emotional and social intelligence, way beyond her years and time. You will feel smarter after reading it but you will have fun as well. She makes it fun and analyzes juice bits we all wondered about or missed entirely. Do you have to be a fan of analysis and therapy? Probably, but I bet you love to talk about Jane’s characters as real people – at least most of her fans do. So imagine taking them to a therapy session and discussing their behavior? This is what I felt reading her book. I hope you do too. One hardcover copy shipped to your house wherever you live! I shared this post on Facebook and Twitter! Thank you Colleen. I really appreciate that. Sound intriguing, Rita. Thanks for the giveaway! Shared on Facebook (Angela Dale), Tweeted (@Anji_Dee), Pinned (Anji Dale) and Google+ (Anji Dee). Thanks Anji. I do hope you read it! Wow! 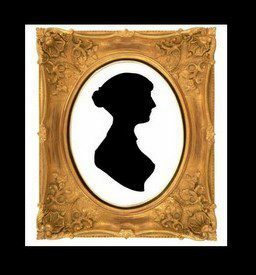 Science meets Jane Austen! Right up my street! Shared on my Facebook page. Thank you very much Juilia! Thank you for the publicity! I do hope you like Jane on the Brain! Thank you for your good wishes, Sandra. I do hope you like the book. Shared this on my Facebook Author page. Sounds fascinating. Can’t wait to read it! Thank you Elaine. I hope you like Jane on the Brain. Shared on Facebook. Looks like a good read. Thank you. I hope it’s a good read! I’ve been a JA fan since I was in HS and my English teacher encouraged me to read all of them! I learned English Country dancing and have danced at many Jane Austen balls since! (To Mr. Beveridge’s Maggot of course!) shared on twittter! Thank you for sharing. I would love to do more country dancing. The group “in my area” is two hours away! And good for your hs English teachers. So many of them are unsung heroines and heroes. I’m excited to read this and add it to my “Jane” library 🙂 I’ll share on facebook! I do hop you like it. Thanks for sharing Birgit. Sorry. Giveaway is over. Winner was announced yesterday. Sorry you missed giveaway. There will be a paperback one, I hope! But maybe you’ll read it before then!